Wine release parties can be a lot of fun. Wine release parties the combine great wine, fun people, live music, and a great vibe? That’s not to be missed. 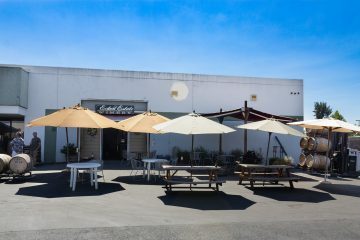 That’s why we rearranged our schedule to be sure to attend the wine release party at the Eckert Estate Winery. 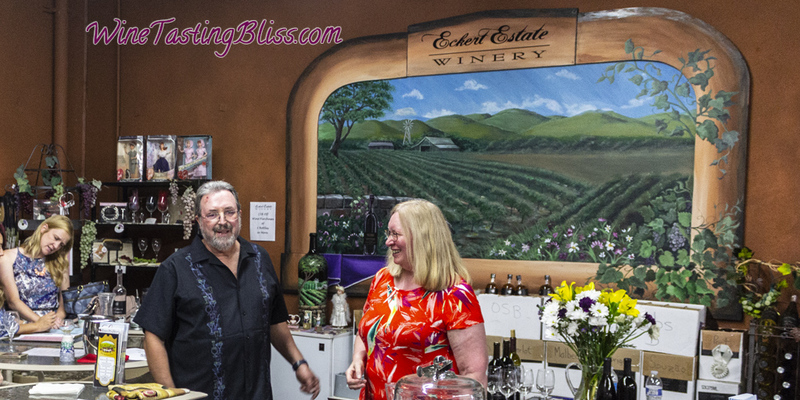 We adore the Eckert Estate Winery. 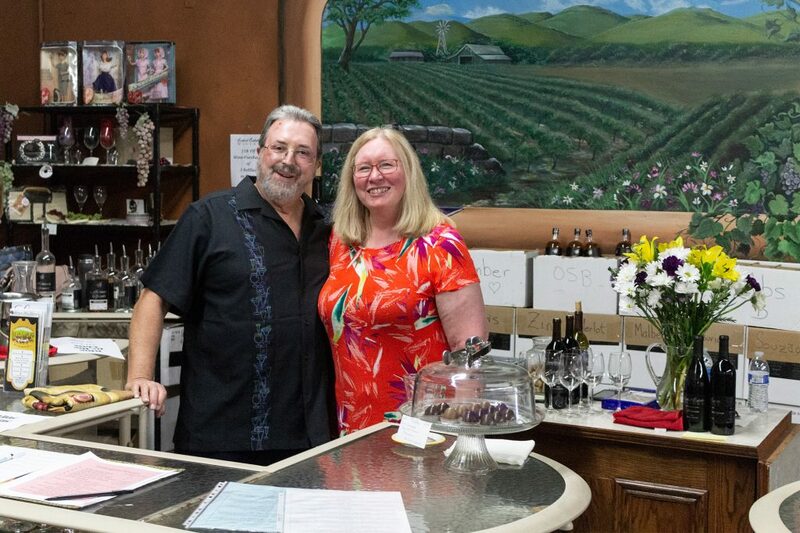 Owners Mike and Vickie are fun and welcoming, and their wine is both delicious and a great value. Nice combination! Add in the festivities of a release party and the afternoon is pretty much perfect. We arrived right at the start (Vickie always teases us for our promptness) to find Mike putting the finishing touches on positioning umbrella-covered tables for tasting al fresco. 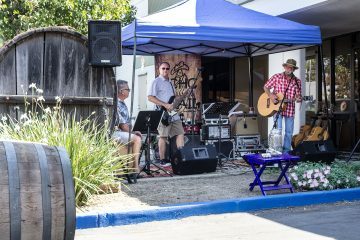 With empty wine barrels artistically arranged and a band setting up, the vibe was set before the party even started! 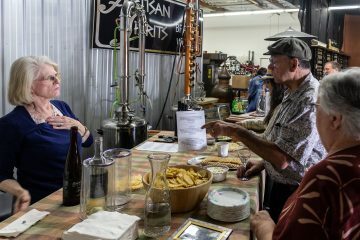 We ventured into the tasting room to say hello to Vickie and get the details on the release. And what a release it was! In one event, Mike was releasing 2014 Ensemble, 2013 Zinfandel, 2013 Merlot, 2013 Malbec, 2013 Touriga, and 2013 Souzao. Yes, that’s six wines, all in one release party! 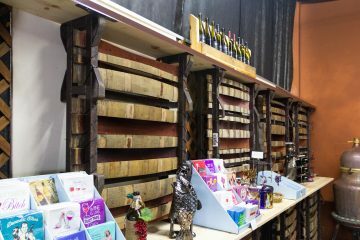 For the party, they were pouring even more wines than that! We started with a 2014 Sauvignon Blanc, poured by Emily. 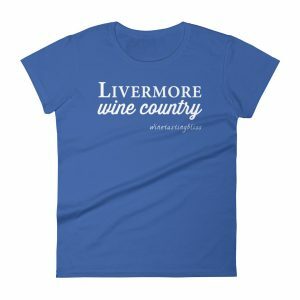 She was happily discussing the history of the Livermore wine scene with some early arrivers. We enjoyed the Sauv Blanc’s crisp apple and citrus zest notes and clean finish. 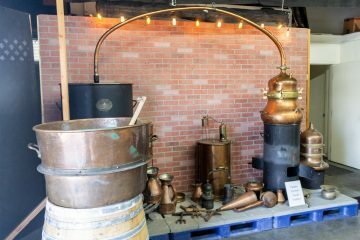 Can’t forget Artisan Spirits Distillery! Emily next poured a 2015 Riesling. Not your father’s mid-sweet Riesling, we enjoyed the floral and apricot notes, with a finish of orange zest. Our next taste was a perennial favorite: their 2014 Ensemble, a blend of Malbec, Merlot, Zinfandel, Touriga, and Souzao. This release maintained the reputation of the Ensemble label. Lots of fruit layers, with a wonderful balance of spice and acid, with restrained tannins on the finish. This will be cellared beside its predecessor Ensembles, saved for the perfect afternoon BBQ. 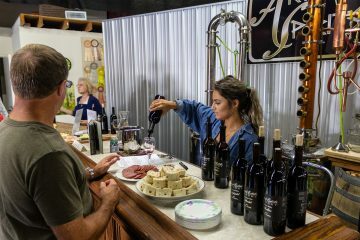 Mike and Vickie’s daughter Patti was pouring the next section of the flight, starting with the new 2013 Livermore Zinfandel. Yum! A true Livermore-style Zin, with less punch than a Lodi Zin and more fruit, especially raspberry and blackberry. 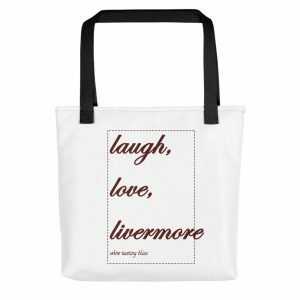 She next poured another new release, their 2013 Livermore Merlot. This is a very personable Merlot, greeting you with plum and currant up front, leading to a warm, mellow finish. 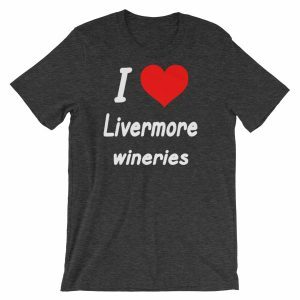 A third new release was Patti’s next pour, a 2013 Livermore Malbec. Mike was the first winemaker to lure me into liking Malbecs, and he came through again. So much to enjoy, with punchy flavors of blackberry, dark cherry, and a hint of oak toward the end. There are a number of Malbecs produced in Livermore now, but Eckert Estate still produces one of our favorites. We took our wine glasses outside and sat at one of the covered tables. The band, Echo Trail, was producing some great music, which really added to the experience. We were intrigued by the percussionist, who performed using what seemed to be a wooden box with a microphone. Instruments aside, we enjoyed the wide ranging covers, with a lot of the choices from our younger years. Other guests might call them classics. Everyone agreed that is was wonderful entertainment! Happy anniversary Vickie and Mike! After listening to a half dozen hits, we went back indoors to watch Vickie and Mike cut some cake! 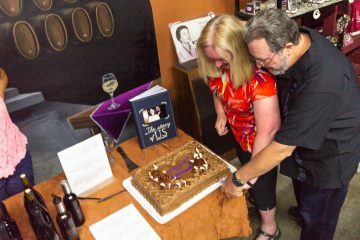 In addition to celebrating all the new releases, the Eckerts were also celebrating the wedding anniversary. That meant cake, and lots of it. There was some debate as to which of the wines paired best with the cake, with the consensus coming out in favor of the Riesling. These can be great discussions because there really can’t be a wrong answer! Eventually, it was time to make the hard decisions. Being a wine club member at Eckert Estate means that you commit to purchasing two bottles of any newly released wine, but the choice of which wine is entirely up to you. While it is nice to have that option, selecting from the six new releases took more than a little conversation. We did settle on two (we can get the rest of the wines during our frequent return visits) and thanked and congratulated the Eckerts. What a great release party! Have you visited Eckert Estate? Click to give'em a tweet of support!